Micromax's Yu Yuphoria has LTE and an HD screen, but still costs just $110 without a contract. The Micromax Yu Yuphoria the Xiaomi Mi 4i's combination of impressive specs and aggressive pricing will put pressure on the likes of Samsung Electronics and Motorola Mobility to step up their efforts in the segment for sub-US$200 smartphones. "It's more pain for the established vendors. These devices have the potential to reset customer expectations," said Ben Wood, chief of research at CCS Insight. 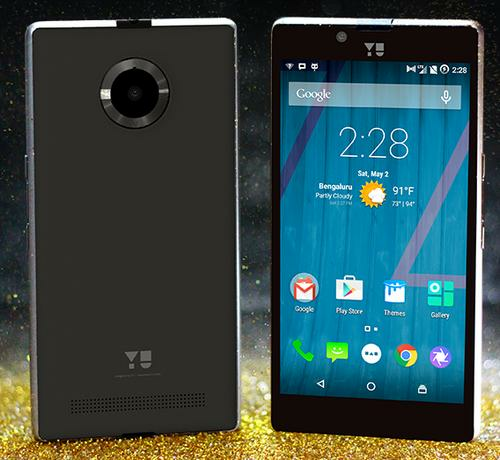 The Yu Yuphoria was launched on Tuesday in India. It's an LTE smartphone that will cost about $110 without a contract in that country. It has a 5-inch, 720 x 1280 pixel screen and a Snapdragon 410 processor. The specification also includes an 8-megapixel main camera and a 5-megapixel front camera, as well as 2GB of RAM and 16GB of integrated storage. While smartphones in this price category used to look as cheap as they were, the Yuphoria has a metal frame to help it look more premium. The Xiaomi Mi 4i is more expensive at just above $200, but offers better specs. The 5-inch screen has a 1080 x 1920 pixel resolution and the processor is Qualcomm's more powerful Snapdragon 615. The main camera has a 13-megapixel resolution. It, too, has a 5-megapixel front camera, LTE, 16GB of integrated storage and 2GB of RAM. The two devices share another common feature: They leave competing devices in the dust by offering smartphone buyers a lot more bang for their buck. The second generation Moto G from Motorola may have a 5-inch, 720 x 1280 pixel screen and an 8-megapixel camera just like the Yuphoria. But the front camera only has a 2-megapixel resolution, the amount of storage and RAM is half of what the Yuphoria has, and the price tag is still $170. There is also an LTE version available in some parts of the world that makes the price difference even larger. Samsung's midrange smartphones also come off looking expensive, in comparison. The Galaxy A5 is just like the Mi 4i, an LTE smartphone with a 13-megapixel camera, 16GB of storage and 2GB of RAM. But it has the less powerful Snapdragon 410 under the hood and the 5-inch screen isn't full HD. Instead, users have to make do with 720 x 1280 pixels and still pay about $350. Even if the newcomers offer great specs for little money, Samsung and Motorola think they have an edge. "They hope they'll be able to command a premium for their brand, but that margin is being eroded all the time," Wood said. The Yu Yuphoria and the Mi 4i are unlikely to go on sale in the U.S. and Europe, because Micromax and Xiaomi continue to focus on their respective home markets, along with Bangladesh, Sri Lanka, Nepal and Russia for Micromax, and India, Taiwan, Singapore, Malaysia and Indonesia for Xiaomi. However, the repercussions will likely result in better products that will go on sale globally. Samsung is dependent on this segment of the market to keep its volumes up, so the company must come up with a competitive response, according to Wood. And Samsung sells its products in as many markets as it possibly can. With the exception of the second generation Moto G with LTE, Motorola has also shipped its affordable smartphones all over the world. There are several reasons for the ascent of Micromax and Xiaomi. The biggest one is arguably that developing smartphones has become much easier, and companies no longer need a big research and development department. "Virtually all phones are manufactured in China or Taiwan, and the ecosystem there is so ripe that everyone gets access to the same components and materials," Sanjay Kapoor, chairman at Micromax, said in an interview earlier this year. "So if you manage your overheads right, you can build world-class products." Samsung and Motorola didn't immediately respond to questions about their future plans.